Now here’s something really special! Nestled in the untouched rain forest habitat at the foothills of Mount Ambra is Kenta Village. 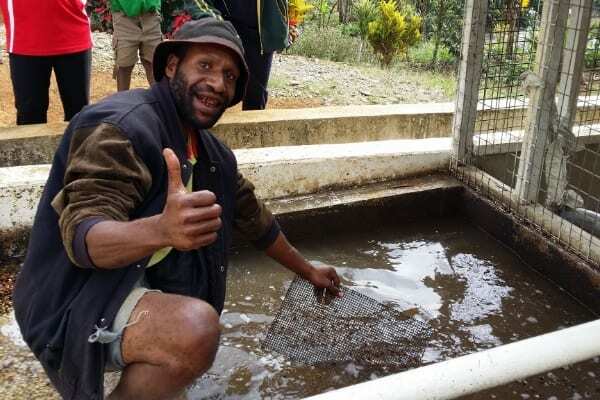 Kenta is located about 25 kilometers from Mount Hagen town in Western Highlands Province. It is approximately 1800 meters above sea level + is part of the coffee growing area in the Province. The natural flora + fauna provides a unique insight into the habitat of the Highlands. This back drop is ideally suited to grow premium quality Arabica coffee with is mild but is full bodied with necessary acidity to make a superb cup. There are about 2000 residents in the Kenta Village. 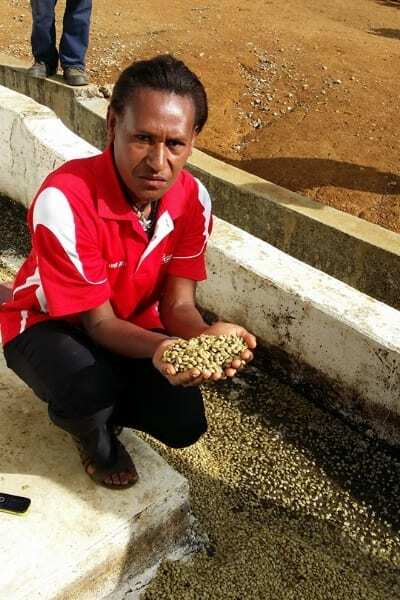 To them coffee growing is vital to their livelihood providing much needed revenue to meet their social obligations. 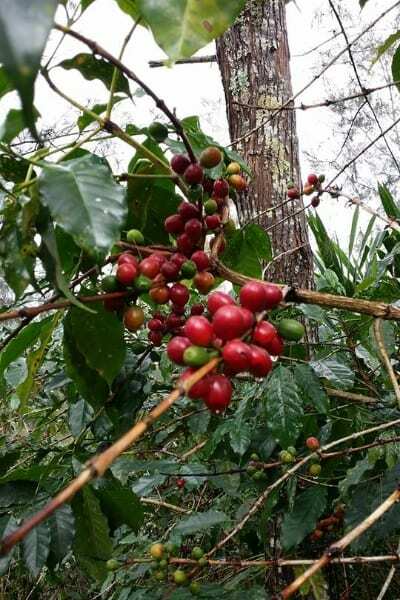 Vegetable + other crops are grown alongside coffee to suit the market demand. 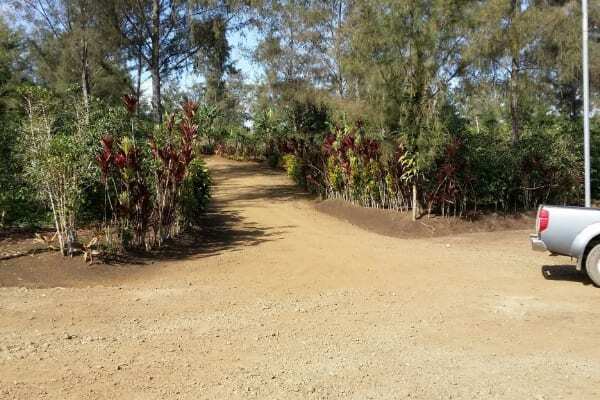 160 hectares of land on Kenta was identified + planted to Arabica coffee. This plantation forms the nucleus estate for the small growers in the vicinity + provides sustainable extension services to the farmers. An environmentally friendly wet factory has been built to high standards with machinery imported from McKinnon in India. 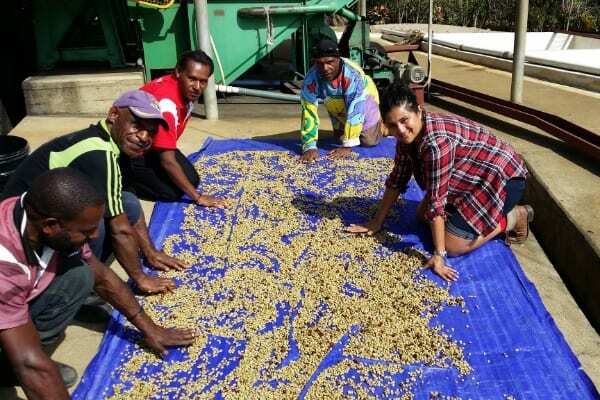 This factory produces high quality parchment acceptable in the world gourmet coffee market. The wet factory sits next to the beautiful Guga river where fresh water is drawn to wash our coffee. Three settling ponds have been excavated to hold coffee skin + waste water. At the end of each season, the coffee skin is removed + applied as a fertilizer of plantations. Waste water is being neutralized. There will therefore be no contamination + ill effects to the community or the environment. A dry coffee mill has been constructed with state of the art machinery imported from Germany + Brazil. The mill was commissioned in 2015 + quality green bean has been produced. "Kenta" is the brand named after the village where the wet factory is located. 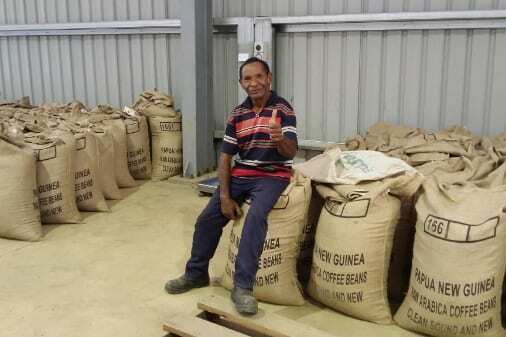 Premium quality washed Arabica coffee is processed on this site + the end product is aptly named "Kenta". All care + measures are taken to produce a top of the range premium quality which has been well accepted in the World gourmet market. 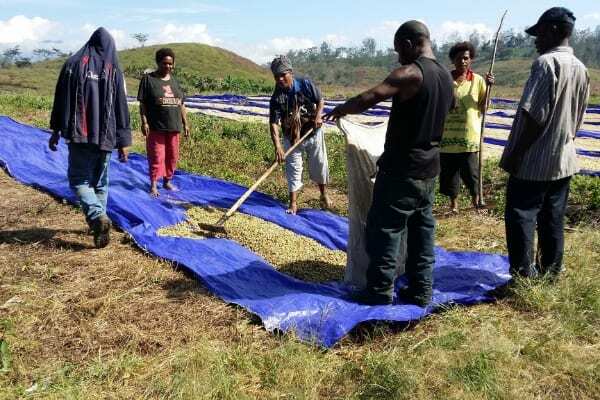 Recognising the need to improve the lot of the small growers, Kenta in conjunction with the World Bank has successfully implemented the Progressing Partnership in Agriculture Project. 980 farmers are now under the program + changes to their livelihood are already noticeable. Growers are shareholders within the company + therefore receive equitable profits + a "fair" price for their Cherry. A HIV AIDS Clinic + Outpost have been set up at Kenta with support from the Western Highlands Provincial Health Authorities. Regular clinics + education programs are conducted onsite. Personal Viability + Gender Equality courses are also conducted as part of the community development program. 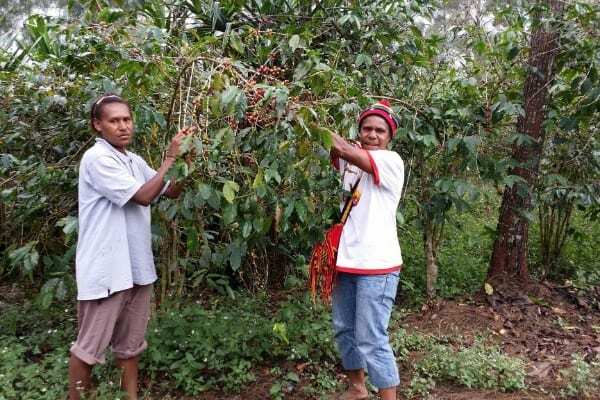 Papua New Guineans are one of the three sweetest coffees (along with Colombians + El Salvadorians,) + have the highest rate of carbohydrate to sugar conversion after roasting. The Kenta lives up to the reputation being so sweet that they joke that the tasting notes are simply 'tropical cordial'. Roasted for both espresso + filter, in this coffee we have found flavours reminiscent of peach, caramel + melon with subtle notes of boysenberry, raspberry + raisins.